The season is early. So if your favorite team (*cough* Brewers *cough*) or fantasy baseball team or Home Run Derby Team are struggling, don’t fret my baseball fanatic, there is PLENTY of time for everything to turn around. One of my favorite things about the early season are the wild projections based on extrapolating early numbers out to 162 games. Some of them might just make you Ship Your Pants. Colby Rasmus and Chris Carter both have 4 homers… but they also have 23 strikeouts. That puts them on pace for 246 strikeouts this season. The record in a single season is 223 held by Mark Reynolds. So they really aren’t way out in left field on this stat. Joey Votto may seem like he’s off to a slow start, but actually he’s just walking to 1B… a lot. He has 22 walks in his first 66 plate appearances good enough for an OBP of 0.500. The record is held by Barry Bonds with an asterisk. In fact, he owns the top 3 spots on the single season record list. His most being 232 in 2004. Votto isn’t that far in front of the pace at 238 walks. But no one has had more than 170 (besides Bonds) since Babe Ruth in 1923. Now for some more wild extrapolations. The kind that look like a divide by ~0 occurred. There are 4 guys at the top of the RBI leader board Prince Fielder, Chris Davis, Brandon Phillips, and… John Buck all have 19 RBI. But since the Mets can’t seem to get away from all the snow, they have a few more games to play than everyone else. That gives Buck a projected 237 RBI this season. That beats the record by almost 50 RBI set by Hack Wilson at 191 back in 1930. 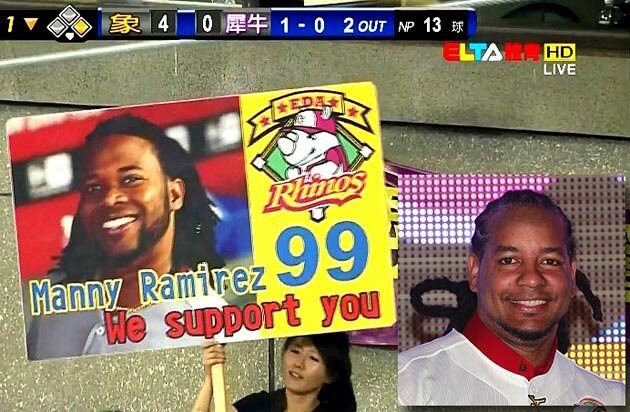 In fact, no one has more than 160 in recent years except Manny Ramirez with 165 back in 1999. I have faith that Buck will reach 42 RBI this season (which tops his 2012 total). Nothing is more frustrating than ending a scoring opportunity with a double play ball. Rickie Weeks has done it 5 times this season, which puts him on pace for 63 this season. The record stands at 36 by Jim Rice in 1984. This projection is one that I hope ends tonight and Rickie ends with 5 all season. The last time anyone had more than 150 runs scored in a season was Jeff Bagwell in 2000 (152 Runs). Austin Jackson is on pace for 220 runs. The record is 192 set back in 1894 by Billy Hamilton. Not this Billy Hamilton, although when he makes it to the big leagues he may be able to steal home 192 times in a season. Shin-Soo Choo has 7 HBP!!! SEVEN!!! He should be the one charging the mound. Instead he’s on pace to be hit by a pitch 88 times this season. Surprisingly, the record for a single season is 51 by Hughie Jennings in 1896 (he has 3 of the top 4 which are the only 4 spots over 40). It may take Choo a while to get to the career levels of Jennings (287)… but a few consecutive 80+ HBP seasons will get him there fast. And lastly, since this site is dedicated to corked bats home runs, most of you know that Justin Upton is leading the league with 8 homers so far this month. Run some extrapolation and he’s on pace for 93 long balls. As long as his name isn’t on the A-rod’s collectibles, he would be sending Bond’s asterisk HR ball out of Cooperstown.